Today only on Amazon you can get the Table Tennis 3D Android App for FREE! 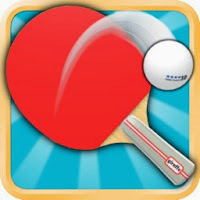 Beautiful 3D Graphics, Realistic Physics, and Challenging Opponents make this the Best Table Tennis game for Android! Swipe your finger to hit the ball, it feels like playing real Table Tennis! Play in an International Table Tennis League! 3 Great Tournaments: Olympic Tournament, World Championships and a Friendly Tournament!